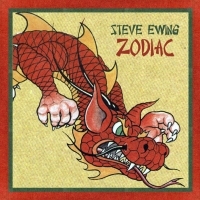 "Steve Ewing may very well be the model of how to remain a working musician after fame and major-label backing has vanished. After reaching a respectable level of success with the Urge (a band that is still talked about in hushed tones by certain folks), Ewing has continued to ply his trade at small clubs around town and consistently released solo records every few years. Common Side Effects is his fifth release, and it will sound familiar to those who haven't heard Ewing since "Jump Right In" was all over MTV and modern-rock radio. Where the Urge tossed rock, ska, punk and funk in the blender, Ewing's solo work splits an attractive difference between rock and harder-edged R&B. He is backed by an able band on these nine tracks, and the mood shifts 311-esque jams ("Two Piece Tuesday") to piano-led ballads ("Airwaves"). 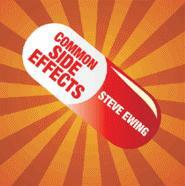 A few songs on Common Side Effects that deal with identity crises — a pertinent topic as Ewing gets older and continues to refine his musical identity. But while parts of Ewing's psyche may be in flux, his new album is solid from start to finish and varied enough to keep his sound from settling into one groove." Must you always be the good saint in the public eye? Must you always be so picture perfect in this disguise? Must you always be the architect in my eyes? And tell me what would I be, if not for crazy? The next time I fall to pieces? Say goodbye when you're already gone? Are we all wrapped up, are we all wrapped up?